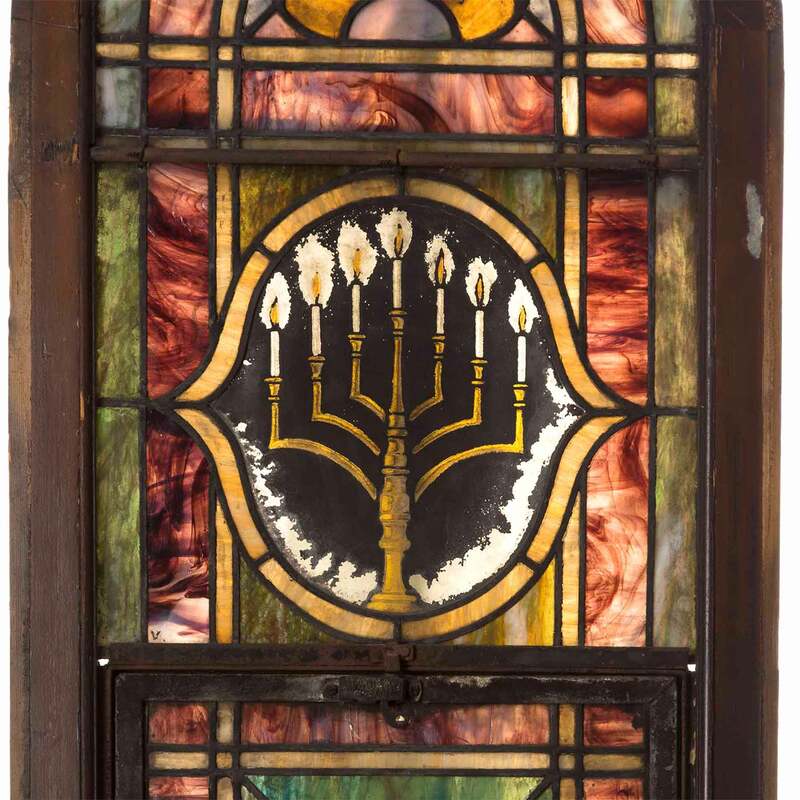 Spertus Institute preserves and protects materials from hundreds of local synagogues and organizations. 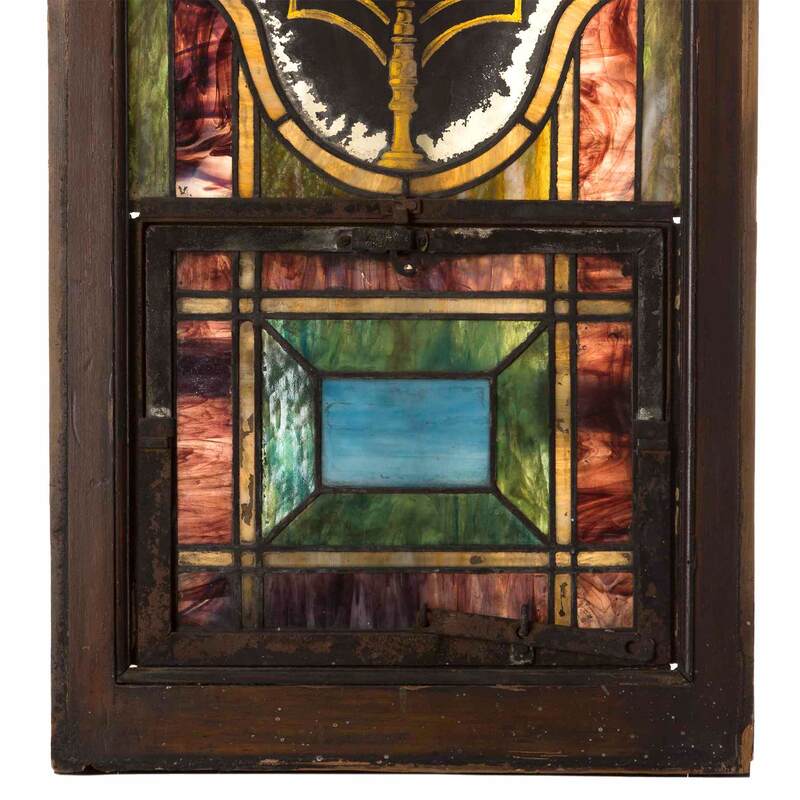 This stained glass window once graced the sanctuary of Shaare Zedek, a Conservative synagogue in Logan Square that had a seating capacity of 1,400. In Chicago, around 1915, upwardly mobile Eastern European Jews began moving to Logan Square from the congested Maxwell Street area. Logan Square offered spacious tree-lined boulevards, attractive two- and three-flat housing, and convenient transportation to the Loop. By 1930, Logan Square was home to roughly 7,000 Jews, as well as legendary businesses such as Goldblatt’s, Morris B. Sachs, and Kaufman’s Bakery. Shaare Zedek was one of the centers of community life for Logan Square Jews. Built at the intersection of Kedzie and Fullerton Avenues in 1922, Shaare Zedek had a seating capacity of 1,400 and boasted a large Hebrew school along with a wide array of educational and social programming. 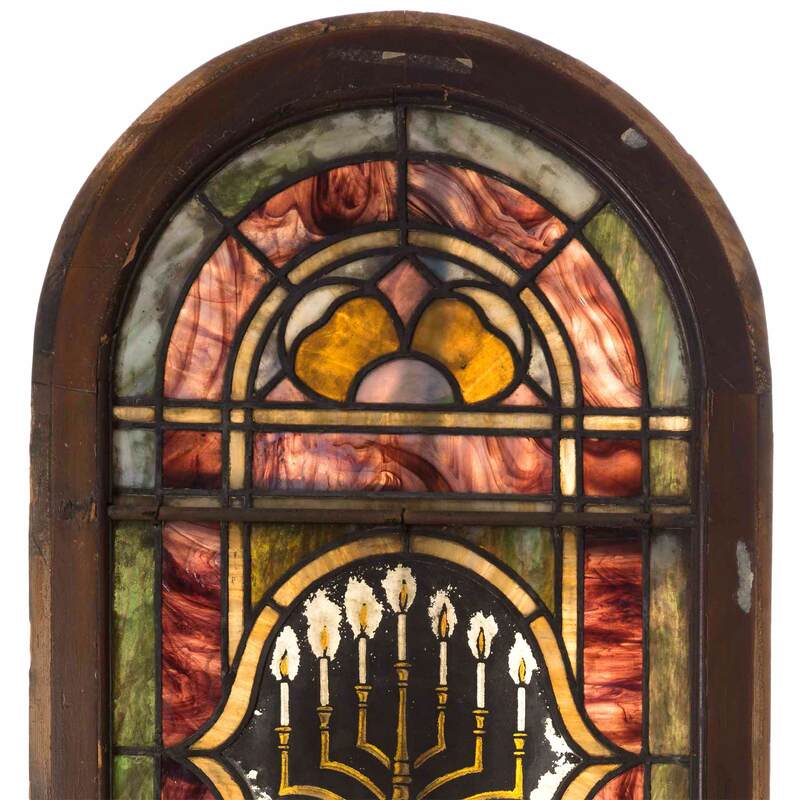 Because the synagogue served both traditional and progressive members, it had a difficult time determining a specific affiliaton but ultimately aligned with Conservative Judaism. When the Northwest Expressway (later named the Kennedy Expressway) was constructed in the late 1950s, it disrupted commercial and domestic life in the area and expedited the flight of the neighborhood’s Jews to the suburbs. Shaare Zedek was demolished in 1977 following decades of decline. As the last standing synagogue of the Logan Square area, its destruction marked the demise of this once-thriving Jewish community and illustrates a larger story of demographic change. 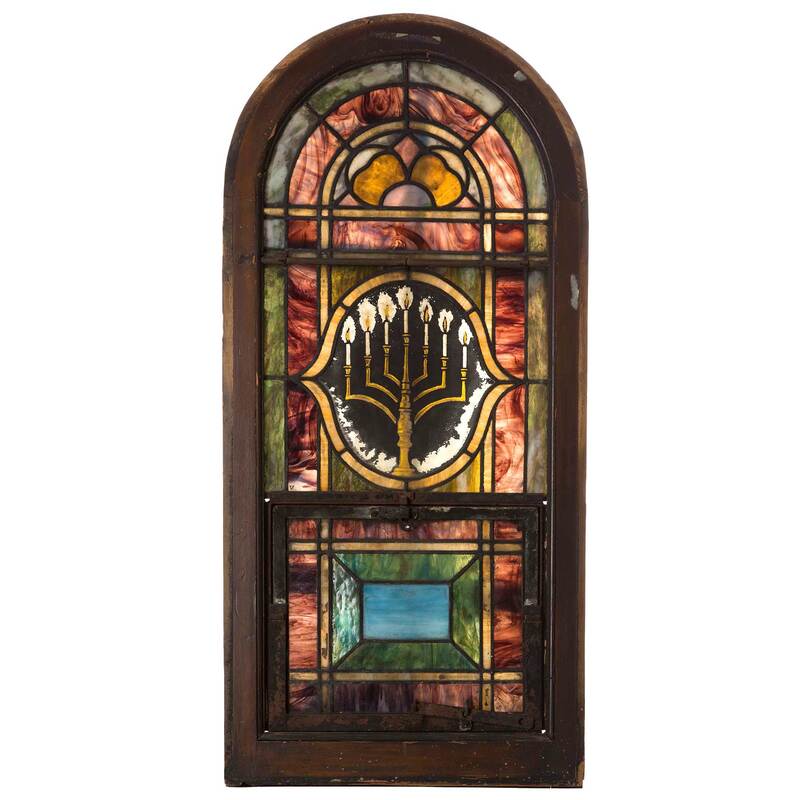 Dimensions: 44 7/8 x 21 3/8 in.